New here? Let me explain. This week our guest host is the fantabulous and stunning Kristin from Bliss at Home! 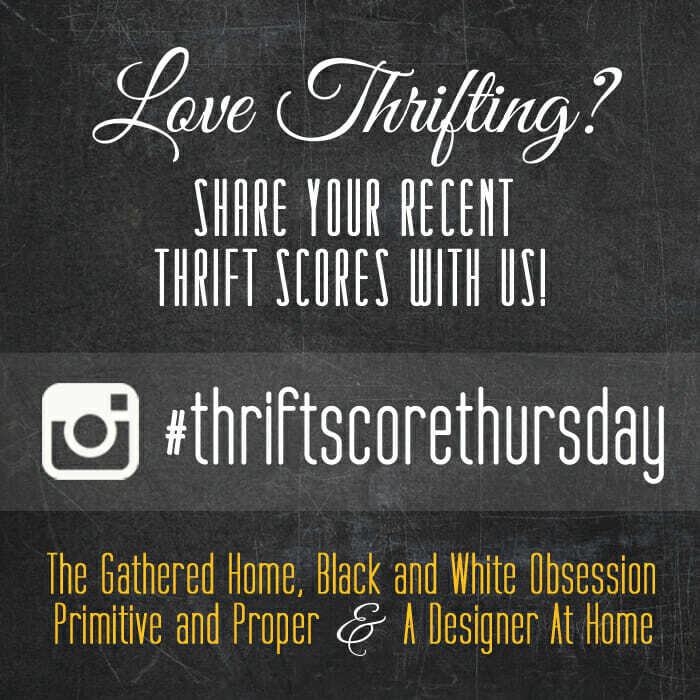 I can’t wait to see what she’s found… I always love her thrifty scores and style. OK so I had a completely different find to share with you but yesterday I had some errands to run which led me by one of my thrift shops. I don’t usually find a lot in there, but since I was already that way decided to stop in. I only found one thing, but it was love at first sight! Right now he is chief of my living room, hanging out on my coffee table, and a reminder to me to do my best to be a virtuous leader in all things in life. Now I have some amazing features to share! You can find Kaye and Co on instagram here. 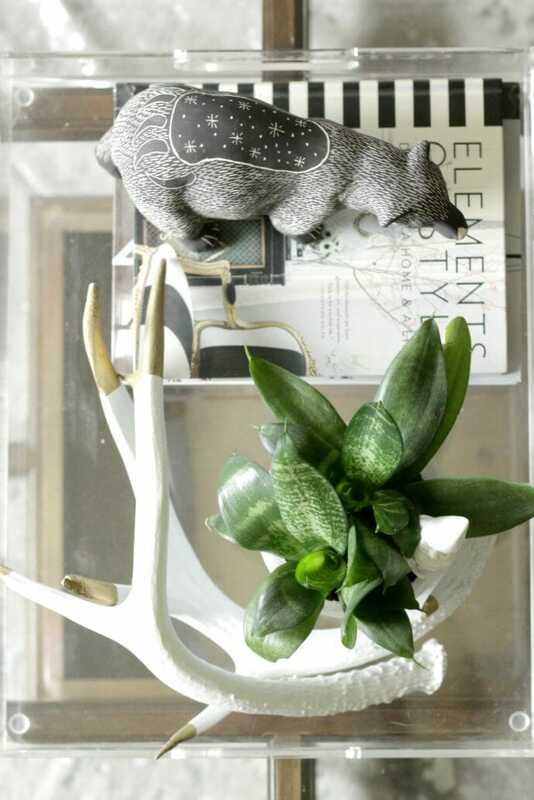 These glasses that Kimberly of Swoon Worthy found would look pretty fab on that cart, right? 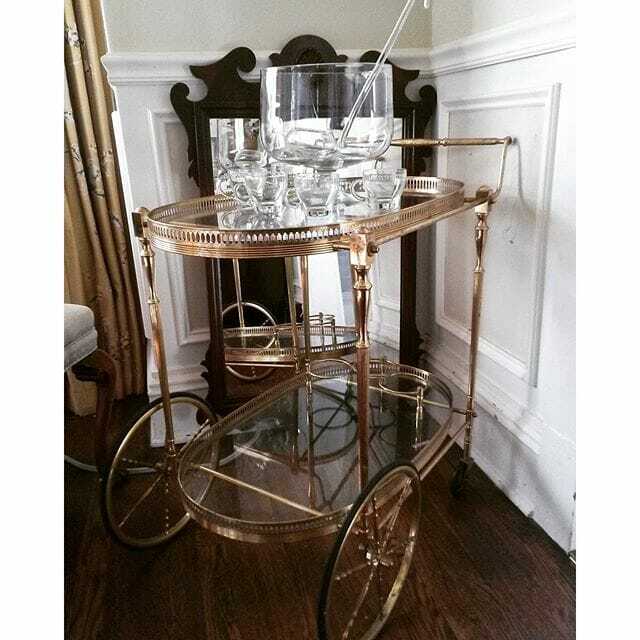 Who needs a tea cart when you can load it up with goblets of red wine! 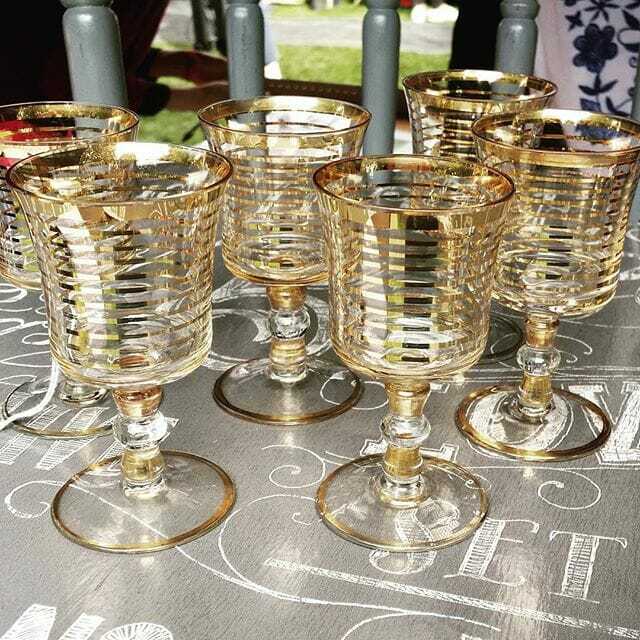 Make mine a wine cart. You can find Kimberly on instagram here. 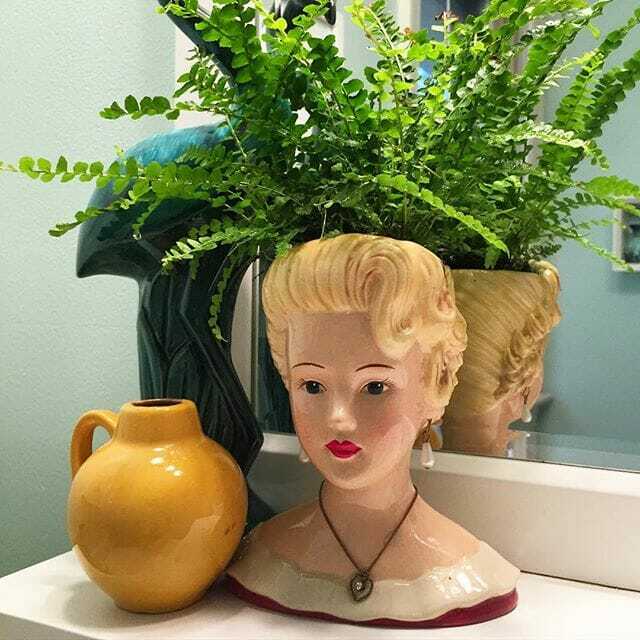 Finally, check out this fun and flirty head vase that Maggie of Maggie Overby Studios found! She’s a head case vase! (Not Maggie, but the vase). And remember if you are interested in guest hosting just email me at at cassie8978@gmail.com! We’d love to have you! See you next week… Happy hunting! That bear is a BOSS. Want that bear really badly! if he ever leaves me… but that won’t happen for a long time i think. he needs me, and i him. haha! he’s fierce. watch out for lesharo because he doesn’t take s**t from anyone. i am summoning that attitude which is why he is my inspiration! The features are just soooo good this week. ALL.THAT.GOLD!! You’re a hoot. I love that bear. Like a lot. Has to be the most rad bear I’ve ever seen. i agree. 🙂 so does he because he’s confident like that. 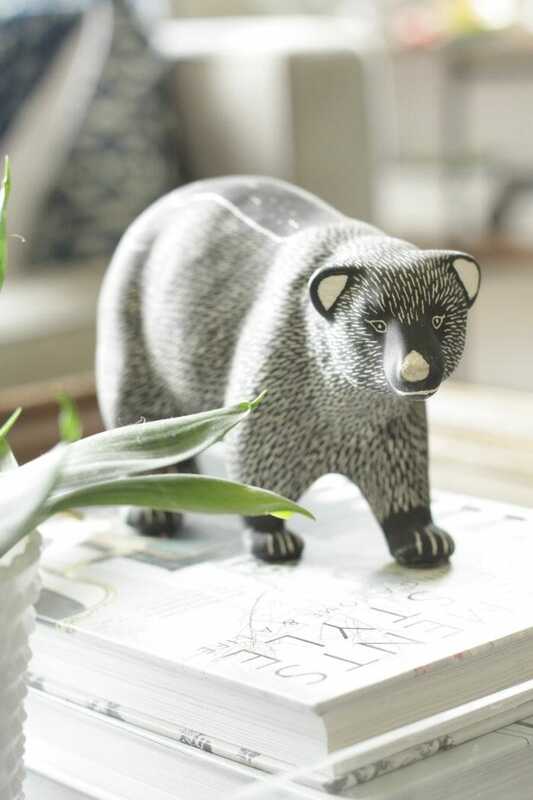 I have to say-I love your tribal bear! He’s a keeper and quite majestic! isn’t he so fun? i was pretty excited. i might have done a fist pump at goodwill. Your bear is AMAZING! I love him!!! And I want one too! thank you! i love him, too! Oh now he is cute!!! Wow! Every feature this week is incredible! I just want to jump off the couch and go thrifting…except it’s 11 pm and everything is close so it would be pointless.